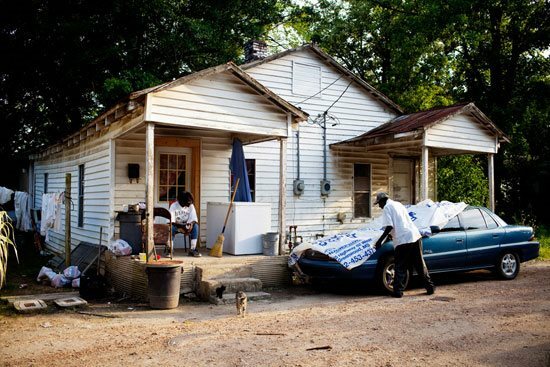 Mississippi is America’s poorest state. AFRICANGLOBE – I came to the U.S. in my early 20s for college from my village in Middle Belt, Nigeria. Prior to that, I was an international student in neighboring West African countries Liberia and Sierra Leone. One of the many things I appreciate about my upbringing is my parents’ willingness to let their children explore life. The two things expected of us were to succeed in whatever we did and contribute in building our community. Despite the challenges of poverty and bad infrastructure, Jacksonians retain a remarkable vibrancy. As a Nigerian woman, I was especially impressed with the Black community’s efforts to honor their African heritage. Mississippi sometimes reminds me of home. A women’s group based in Jackson organizes an annual Kwanzaa event to celebrate their cultural roots. Some Mississippians still grow their food, just as we do in my village. I once took an hour-long ride to my neighbor’s 90 acres of land, where his parents farmed several crops. On public buses, strangers greet you as though you knew each other. In the summer evenings, neighbors sit shirtless on their verandas and chat until mosquitoes start to bite, just like in my village.